A materials recovery facility accepts materials, whether source separated or mixed, and separates, processes and stores them for later use as raw materials for remanufacturing and reprocessing. The main function of a material recovery facility (or MRF) is to maximize the quantity of recyclables processed, while producing materials that will generate the highest possible revenues in the market. MRFs can also function to process wastes into a feedstock for biological conversion or into a fuel source for the production of energy. MRFs serve as an intermediate processing step between the collection of recyclable materials from waste generators and the sale of recyclable materials to markets for use in making new products. There are basically four components of a MRF facility: sorting, processing, storage, and load-out. Any facility design plan should accommodate all these activities which promote efficient and effective operation of a recycling program. MRFs may be publicly owned and operated, publicly owned and privately operated, or privately owned and operated. Each MRF in operation vary in size and configuration. Most counties, cities and non-profit organizations that operate MRFs are small; less than 10 tons recyclables handled daily and less than 15,000 square feet of building space. Total capital costs to construct the facility could be anywhere between $500,000 and $1,000,000. The difference in cost is attributed to building materials used, site purchase and preparation, entrance doors and size. Many of these facilities are not highly automated. Manual labor is used instead of sorting equipment. The type of processing equipment is basic, such as a vertical or horizontal baler, forklift, glass crusher, can blower, etc. 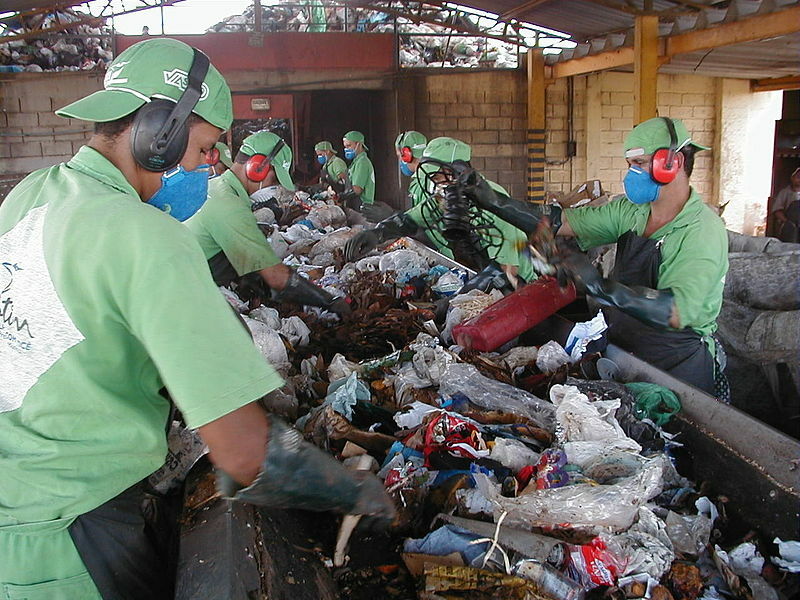 A major cost to consider in planning for a MRF, in addition to land, construction and permitting costs, is the purchasing of equipment to process the recyclables. The equipment needed will depend somewhat on how the material is brought to the facility. If any material is commingled, sorting lines may be needed. However, if all material is source separated, less sophisticated methods for removing contaminants could be used.